Blue Ring. Blue Bracelet. Pearl Bracelet. Pearl Strand Bracelet. Dress. Clutch. Heels. Midi-length lace dresses are my favorite and it seems they are some of your favorites as well. I think it’s because this fit-and-flare style in a midi length is incredibly flattering on every body type. And… The beautiful lace just feels so feminine and sweet. I love this dress because I haven’t seen one in this vivid cornflower blue before; it is such a gorgeous color! I’m more than just a little sad this pom clutch seems to be sold out; I can’t believe it because it only came out a couple weeks ago. If I were you, I would bookmark the page and keep checking back in the next week or so. I think they will probably restock. 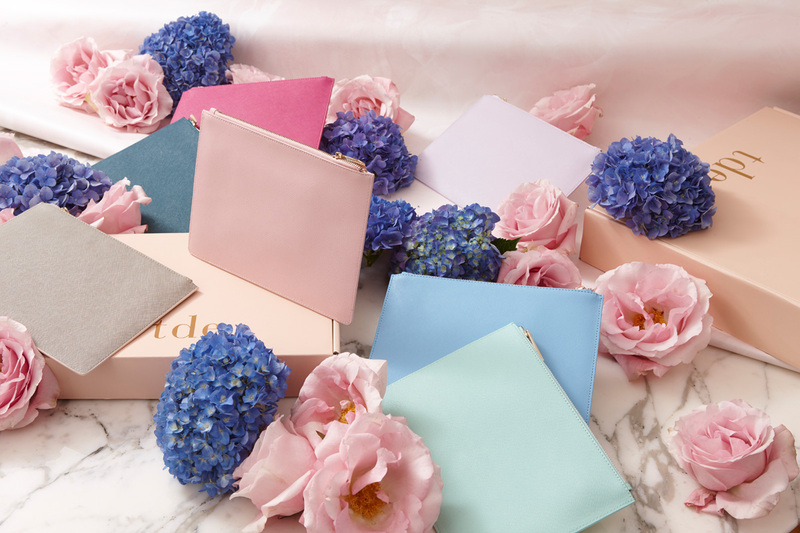 If you’re craving a playful clutch ASAP for your spring travels, I’ve linked some other ones I have my eye on down below in the shoppable widget. Just click the arrows on either side to scroll through and when you see an item you like, just click it to shop. Fit Details: Both the dress and the shoes are true to size! Just follow the sizing guide for the dress; I did and my size fit perfectly.